South Koreans have always shown a keen interest in business innovation and investment. If Bitcoin made waves in many countries, it created a super storm in S.Korea. What followed was hectic activity in not only Bitcoin but also in other cryptocurrencies. By around mid Jan 2018, the Korean won came second to only the US dollar in currencies used to trade cryptos. The Korean authorities were quick to propose regulations and laws. Uncontrolled play in the crypto world can result in a host of problems. Besides the unlawful funding of drug trafficking and money laundering, crypto currencies can also be used to fund terror related activities. Left purely to reckless speculation, crypto currencies can bring financial ruin to innocent and uninformed participants. Considering the fact that existing laws cannot always prosecute the guilty, it is understandable when governments get worried about crypto space activity. Starting at the top with the Prime Minister’s office and moving down to the ministerial and government offices, South Korea has made every effort to highlight the dangers of a speculative frenzy. Government action and increased knowledge about crypto currency, have subdued South Korean crypto activity in recent months. However it is worth remembering that, the crypto community seemed to be on steroids during much of Jan 2018. At one point, digital currencies were being traded at prices that, were around 40% to 50% higher than those in the USA. 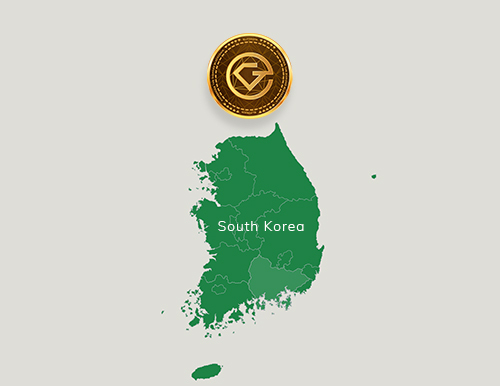 In all this effort to control and regulate crypto currency related activity, it is commendable that the South Korean authorities have not resorted to desperate measures. Banning ICOs and shutting down South Korean based crypto exchanges have been thought of but, such extreme measures no longer seem likely. Judicial officials and related government offices have now decided to focus on a few clear cut objectives. Money laundering, tax evasion and scams that prey on innocent victims will, now be tackled on a war footing. Genuine project promoters and crypto enthusiasts, should welcome this move. Clearing up the mess in crypto space will make it a safer place to conduct trade. The country will be in a position to harness the benefits of cryptocurrency without, being exposed to the negative side of this financial innovation. GLITZKOIN is geared to implement a superior blockchain based trading platform. The spotlight is on the 90 billion dollar diamond industry, where decade old procedures breed inefficiency and result in unproductive costs. The crypto currency deployed as part of the project, will help relieve the industry from the clutches of the conventional banking system. Significant bank charges, the cost of currency conversion and cumbersome procedures are something that the diamond industry has had to put up with.